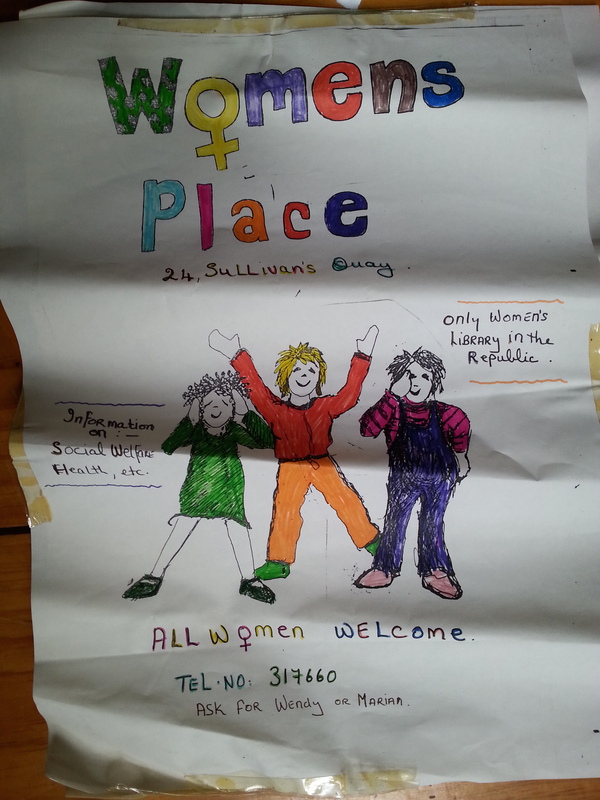 A Lesbian Discussion Group began meeting in the Women’s Place in the Quay Co-op in November 1983 and the Cork Lesbian Collective was set up. A Women’s Place had been established as part of the Quay Co-op when it opened in 1982. See post on Women’s Place. Following the Thursday night meetings women began to gather in Loafer’s Bar, thus beginning the tradition that Thursday night is the night that Cork lesbians met in the pub, a tradition that continued into the 2000s. The back room of Loafers was reserved for women. The Women Only signs from the back room can be seen in LINC. “Despite society’s belief that Lesbians do not exist, or that we are invisible, the situation in Ireland today is changing. More Women are coming out as Lesbian to their friends, families, and co-workers. Although Lesbians have previously met in secret there are now more groups and meeting places which are becoming more widely known. I remember the Women’s Place in the Co-Op well and my memories of it are not pleasant to be honest. I was part of a group of students from Crawford who raided the college stores for paints, tools, wood etc to ‘do up’ the building and, as a 17 year old out dyke, was intrigued by this concept of a designated space for women. What I encountered was a conflict between Lesbian Feminism and the emerging Queer Movement that left me averse to identifying myself a Feminist for many many years. Thanks for that Denise. I’d love to hear more about your experience of the conflict between Lesbian Feminism and the Queer Movement.